After we had a baby, my husband and I decided we needed to have life insurance. Life insurance is valuable if you need to take care of loved ones financially after your passing. Once we finally decided to secure life insurance, we did some research into what would affect the cost of life insurance. Here’s what we found so you can plan appropriately. Deciding on an amount of life insurance can be tricky, but for the most part, you need sufficient funds to cover the funeral costs, any outstanding debts (mortgage? car loans? ), children’s college tuition, and perhaps a year or more of living costs so your family can afford to take some time off from work to grieve. A $500K policy will be much cheaper than a $1M policy. But you must also consider that $500K today will go a lot further than $500K in the future due to inflation. Many people choose to use term life insurance, which can be 20, 25, or 30 years. Term life insurance means that after the term is up, you receive nothing if you haven’t passed. Selecting a 30-year term policy is more expensive than selecting a 20-year term policy. Why? Because those last 10 years pose a greater risk of you dying. Therefore, the insurance company would have to pay out, so they transfer a greater portion of that cost to you. Obviously, a healthy person will have a much easier time getting life insurance. If you have history of cancer or other life-threatening diseases in your family, you may still be able to obtain health insurance, but you’re going to have to pay more than someone who has no history of illness. Many companies charge more for candidates that are heavier on the scale. If you’ve been thinking about losing that weight, do it before you get life insurance. You can definitely ask the company what the weight benchmarks are for your height. For example, a 6’1″ male over 250 lbs will be considered much more risky than one who is 210 lbs. A prime age for a male to get health insurance is in his early 30s. In their 20s, males are considered higher risk because they’re known for taking more risks at that age. In their early 30s, many men settle down and start a family, so they are seen as more conservative investments to life insurance companies (which, let’s face it, are in the business of making money). When males start to get older, they once again become higher risk for developing life-threatening diseases. If you’re within the 25-35 age range, do some research and ask the insurance company what age offers the lowest life insurance premiums. You may be able to save hundreds over the life of the policy by choosing the year when the policy is the cheapest. 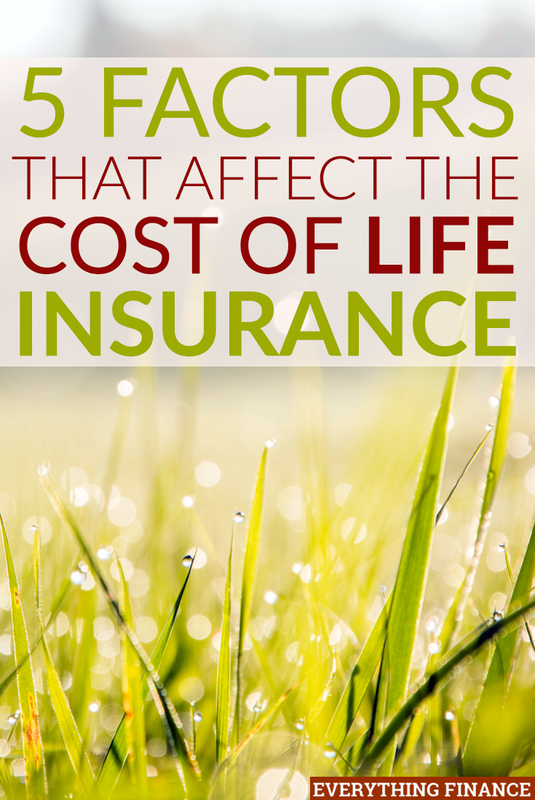 Have you had any other experiences with the cost of life insurance? What are your tips for getting a less expensive, quality policy?